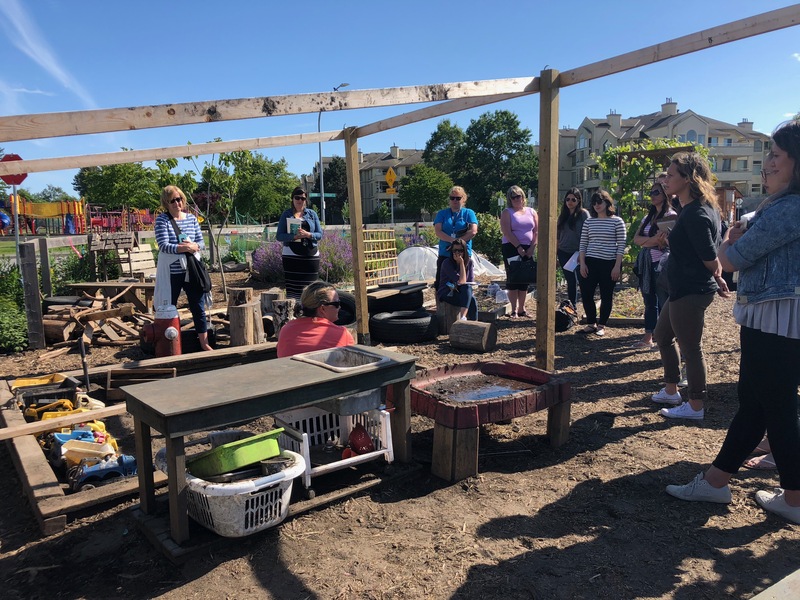 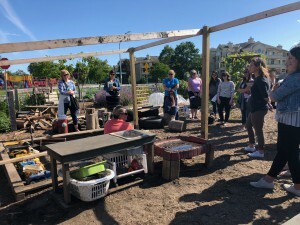 For our sixth and final primary teachers study group session of this school year, Megan Zeni hosted us at the outdoor classroom at Homma. 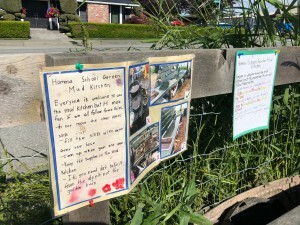 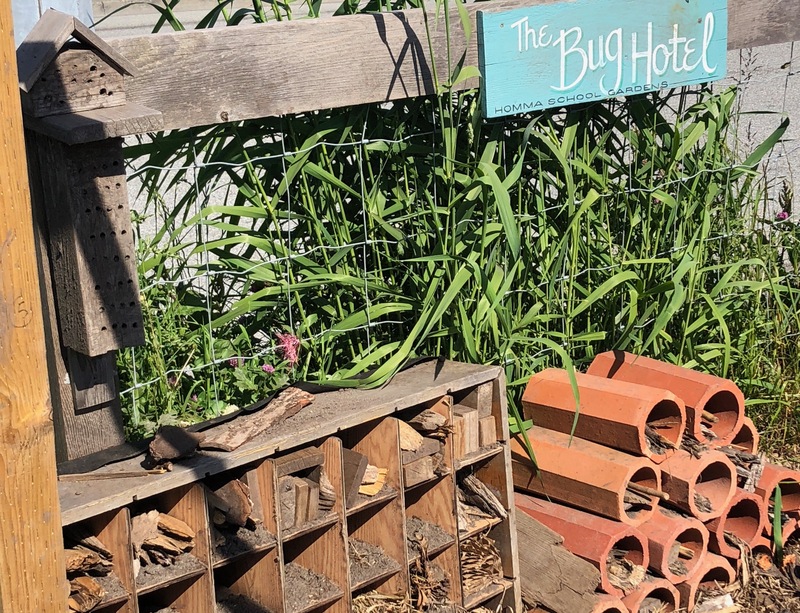 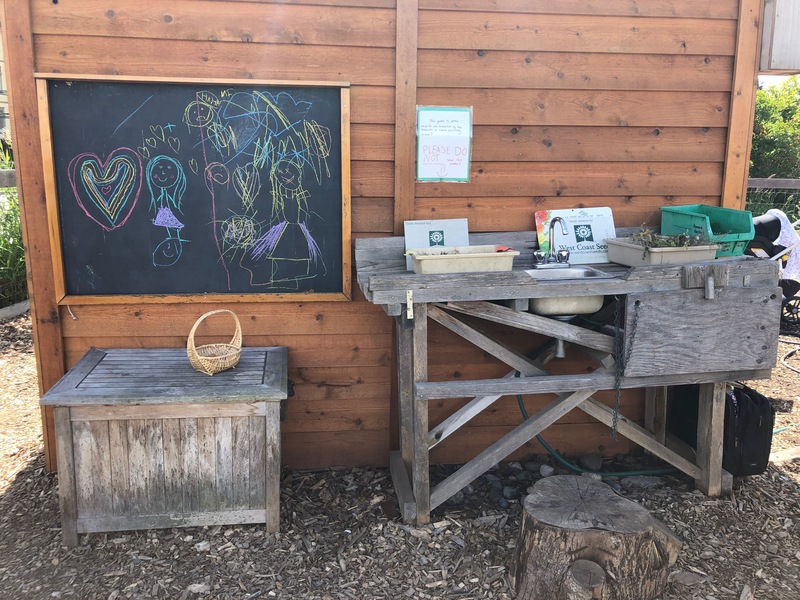 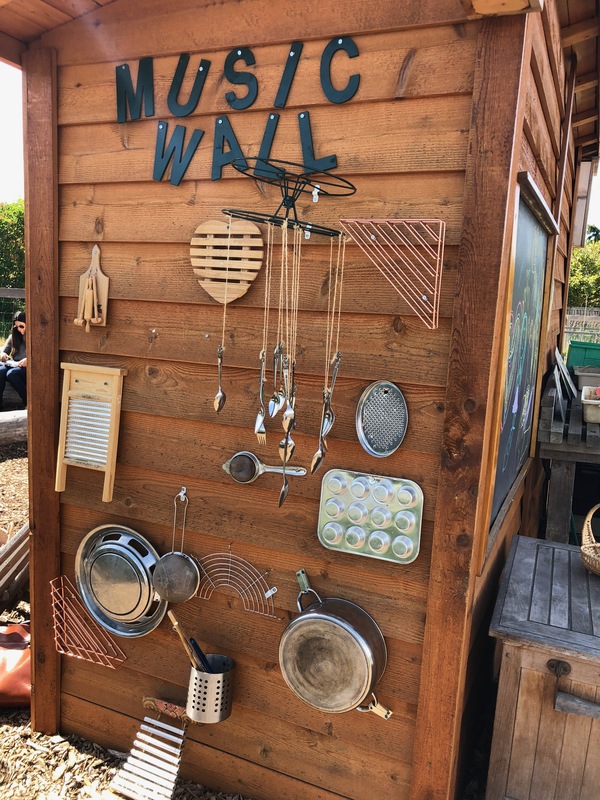 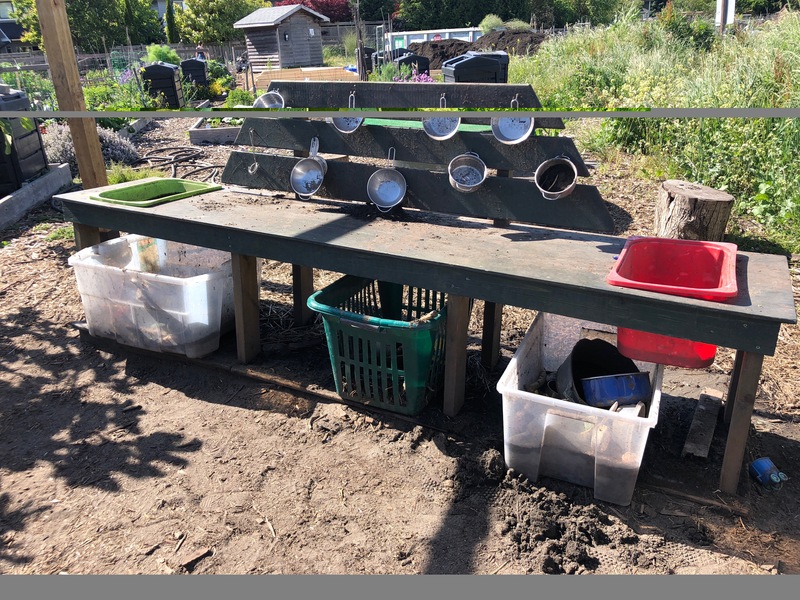 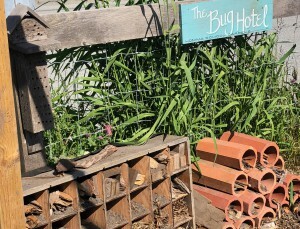 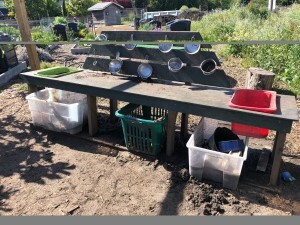 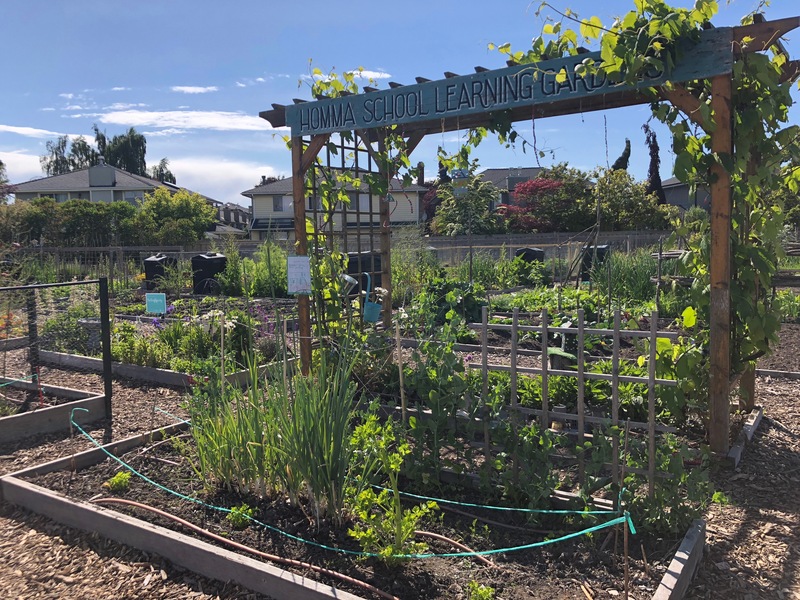 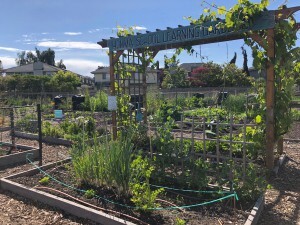 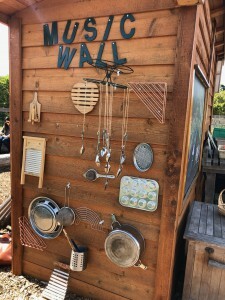 Megan shared the story of the space and how it has developed over time as well as shared the logistics of her “prep teaching” position in the outdoor classroom. We explored the different spaces in Homma’s outdoor classroom to consider opportunities for storytelling and play. 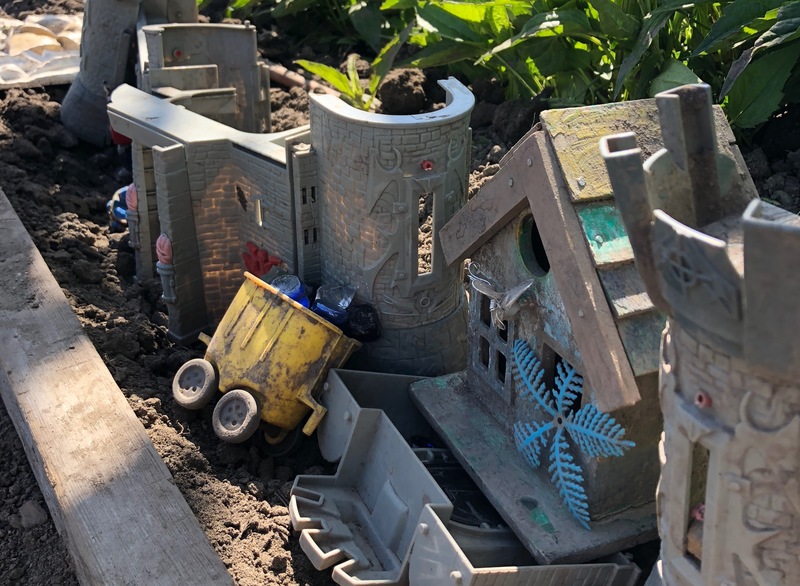 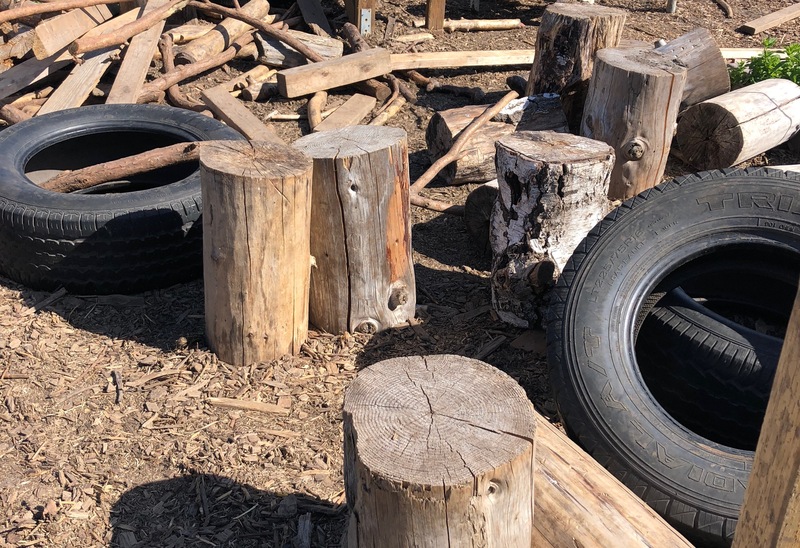 We had lots of great conversation about risky play and the gross motor and social-emotional learning that happens when students engage with large materials, building and play in outdoor spaces. 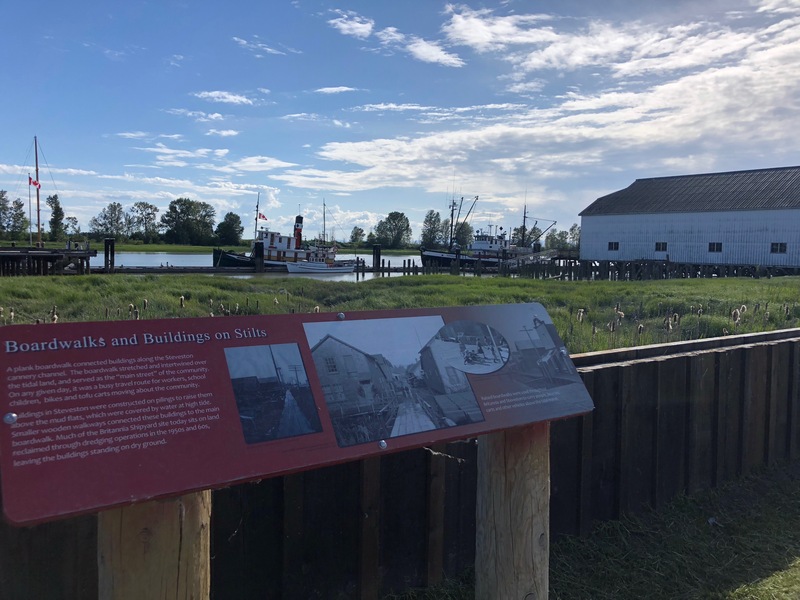 As we left the Homma school grounds and walked towards the south arm of the Fraser River, we considered the story of this place. 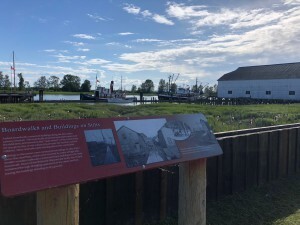 The boardwalk and buildings along the river help to uncover the story of the people of this place and how the river has been used over time. 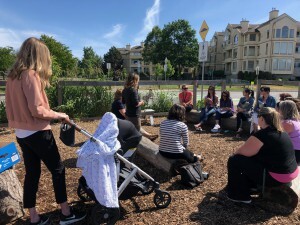 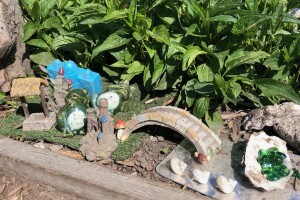 It has been a great year of primary teachers coming together in different places and spaces to think about how outdoor learning experiences can inspire different types of stories and curricular connections. 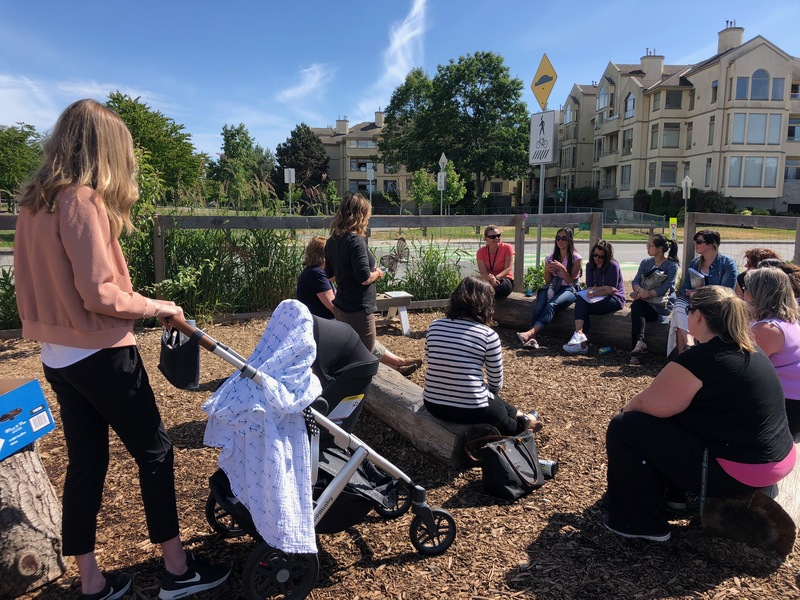 Looking forward to another year of learning together.